Tensions have been escalating in the Taiwan Straits. The US passed the Taiwan Travel Act that allows reciprocal visits of high-level officials between Taiwan and the US, challenging the one-China policy. If US President Donald Trump's national security adviser, John Bolton, visits Taiwan in June or a US navy vessel visits a Taiwanese naval base, that will destroy Sino-US relations. The head of Taiwan's administrative authority, Lai Ching-te has been obstinately promoting "Taiwan independence," and Taiwan authorities are lowering the threshold for a referendum on Taiwan's independence. All these things touch Beijing's red line and the Chinese People's Liberation Army (PLA) must deter "Taiwan independence" separatist forces through strong means to safeguard national sovereignty and territorial integrity. Four factors are needed for effective deterrence: strength, means, channels to convey determination and credibility. A military drill combines these four elements. 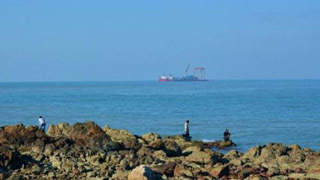 In 1995 and 1996, in response to then Taiwan leader Lee Teng-hui's visit to the US and challenging of the one-China policy, the mainland conducted exercises that included testing missiles in waters surrounding Taiwan and mobilizing forces in East China's Fujian Province, which is located directly across the straits from Taiwan island. 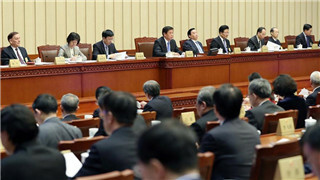 Now some pro-Taiwan US congressmen and Taiwan separatists are undermining the one-China policy. This is something we will not ignore. In military strength, the mainland's defense budget reached 1.1 trillion yuan ($1,748) this year, 20 times that of 1996 and 16 times that of today's Taiwan. In 1996, the number of mainland conventional weapons of a similar or higher quality exceeded that of Taiwan. 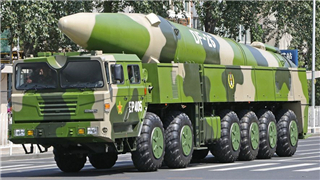 By now the quantity and capability of mainland weapons are better than that of Taiwan. Do Taiwan military forces have any equipment to counter the PLA equipment shown during recent navy exercises in the South China Sea? In 1996, our army did not have enough military means. 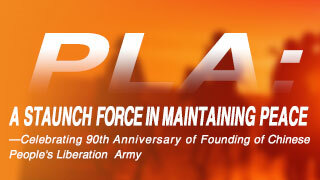 But now the PLA has information system-versus-system operational capability. 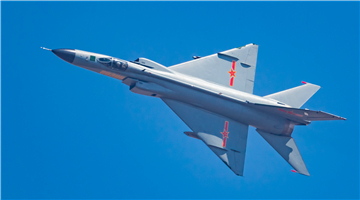 The PLA Air Force has strategic bombers to launch raids on targets or carpet bomb the island. 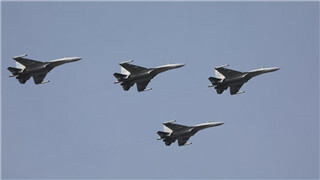 The air force also has third- and fourth-generation fighter jets that would take precedence over Taiwan's troops. 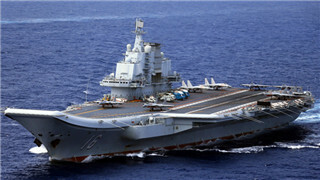 The PLA Navy has aircraft carriers and new naval vessels that can surround Taiwan as well as amphibious assault ships and marines to launch amphibious combat. We have nuclear-powered submarines to cooperate with the rocket force's missiles and prevent external forces' intervention within the First and Second Island Chain. PLA ground forces have deployed rocket artillery which can use massive firepower on Taiwan forces, and trained special forces and helicopter gunships to conduct combat landings. Meanwhile, the rocket force's dominance means if Taiwan troops resisted, most would be wounded or killed by our firepower. 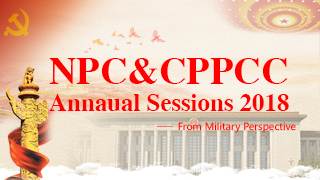 More importantly, after reform, the PLA has integrated joint operational capability. Taiwan is no match for the PLA in terms of military weapons and equipment. This is a competition of strengths. We mean to terrify not ordinary Taiwanese, but Taiwan separatists who only bring danger to Taiwan. They try to attract people's attention out of their own self-interest and sacrifice the Taiwanese people's fundamental interests, drawing Taiwan into a quagmire. Once Taiwan witnesses a disaster, the leaders of Taiwan independence forces will face trial according to the Anti-Secession Law. The PLA should regularly conduct military drills to deter Taiwan separatists and have military aircraft and warships routinely cruise around the island. We can also cross the Taiwan Straits middle line and squeeze the space owned by pro-independence forces in Taiwan. 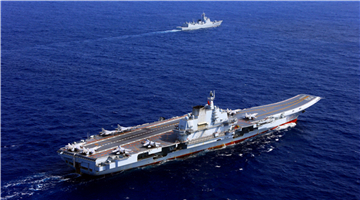 An Air Defense Identification Zone could be established in the Taiwan Straits so that every aircraft or warship entering Taiwan must inform and get permission from the Chinese government. 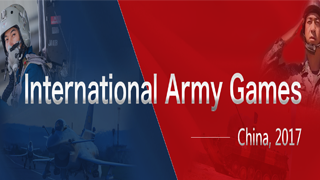 The PLA would have the right to conduct countermeasures and safeguard national sovereignty and territorial integrity. We still insist on unifying Taiwan peacefully, but we will never give up the military option. 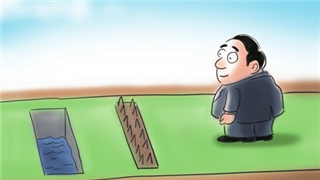 While reunification will lead to peace, Taiwan independence will invite war. 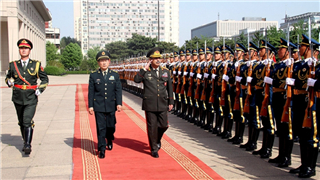 The just-concluded PLA military exercises have shown China's determination and capability. They warn external forces and Taiwan separatists that crossing China's red line comes at a real price. The author is vice president of the China Strategy Culture Promotion Association.